Ross's Law Marketing Blog: Using your ad campaign in a holiday card. 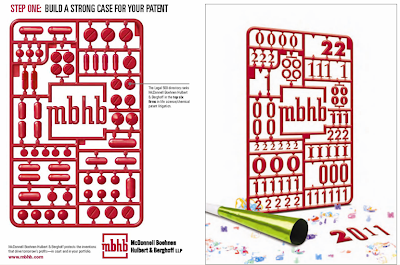 MBHB's red brackets. 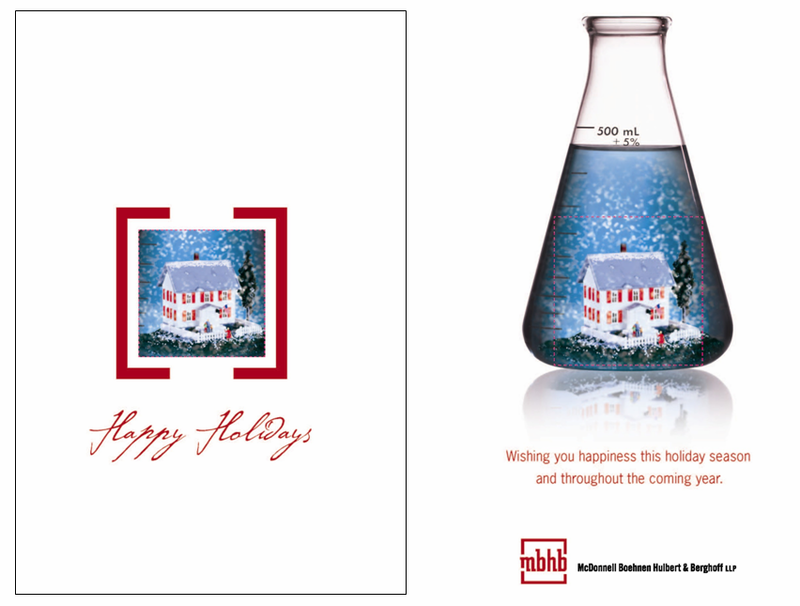 Using your ad campaign in a holiday card. 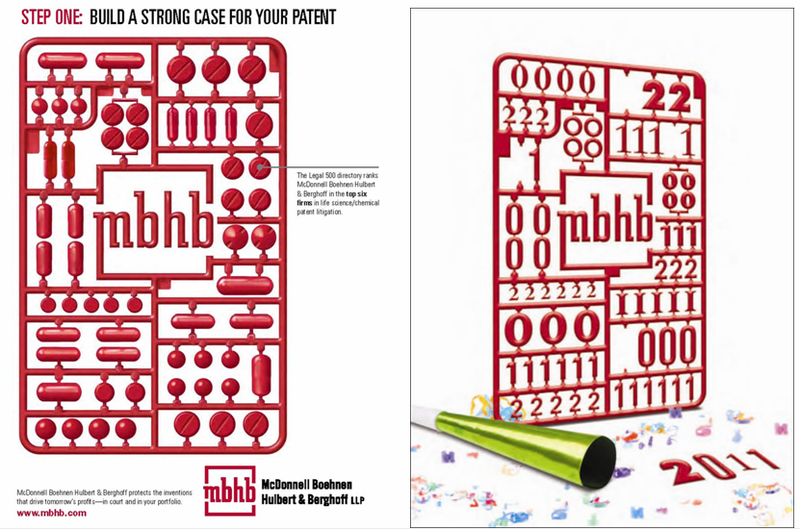 MBHB's red brackets. I've never cared for McDonnell Boehnen Hulbert & Berghoff's logo – it's another of what I call the "huge initials, tiny name"-style design. I think big, vibrant initials or marks distract visually from what I want people to notice and remember, which is the firm name. "The Street" calls the firm "McDonnell Boehnen," not MBHB or MHBM, or whatever. But hey, I could be wrong. Below is as their clever 2007 card which has a nice "reveal" to it. The cover has a die-cut window showing an inviting holiday home and family -- which, when opened, is revealed to be a snow-globe within a beaker. It cleverly connects to their IP practice, without ruining the card's festive intention. Congrats to Marketing Director Megan McKeon.